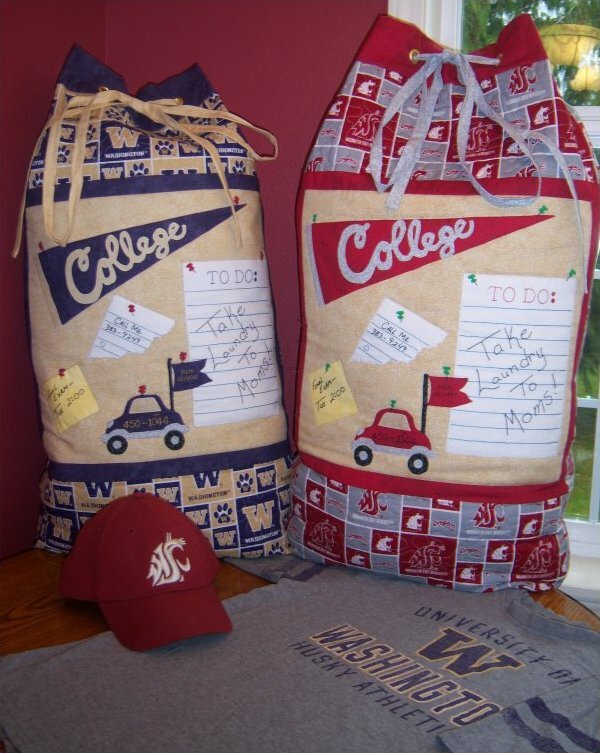 If you know of a high school student getting ready to graduate and move onto college, this is the perfect gift for them. 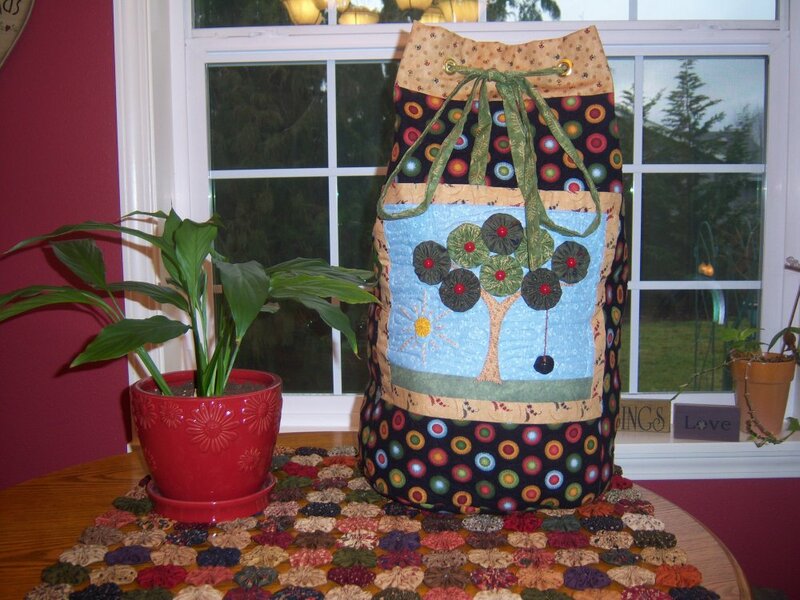 You can even make a matching quilt to put inside the bag. Machine applique. 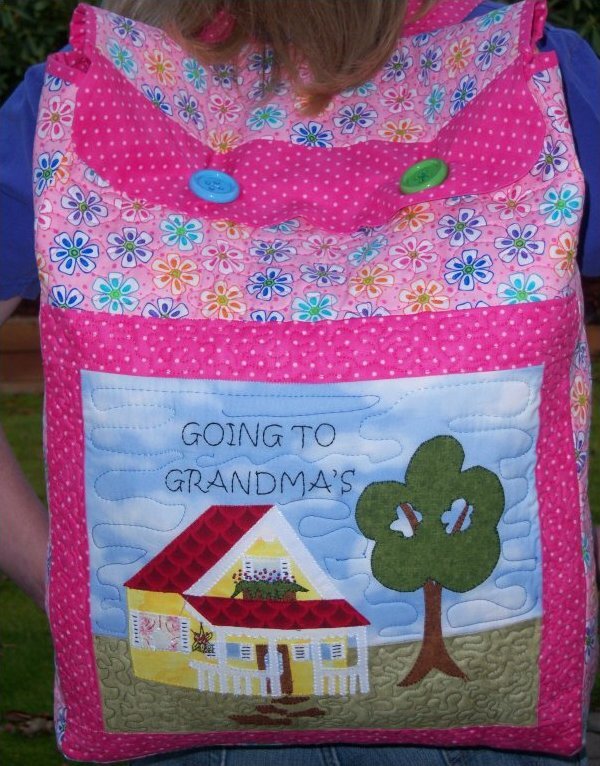 This is a great bag for a child to have when loading up their belongings for grandma's house. Machine applique. 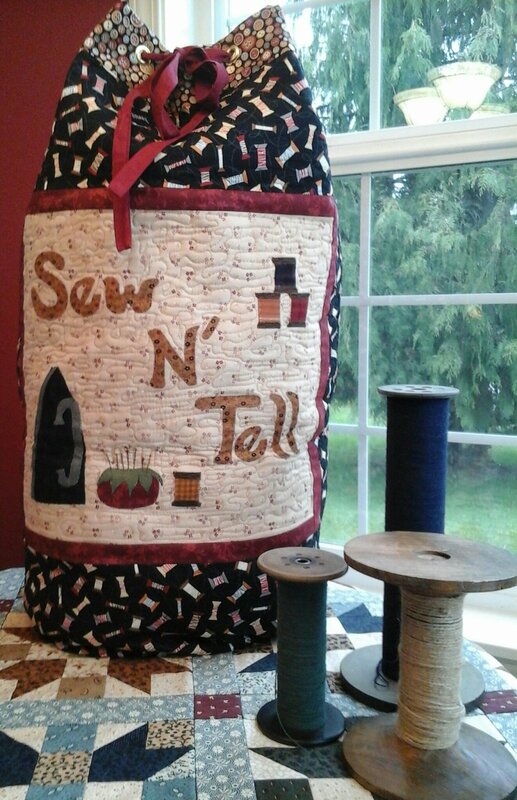 If you love Yo-Yo's as much as I do and need storage for them while you are making them, this is the perfect bag for you!! SOOOOOO CUTE!!! 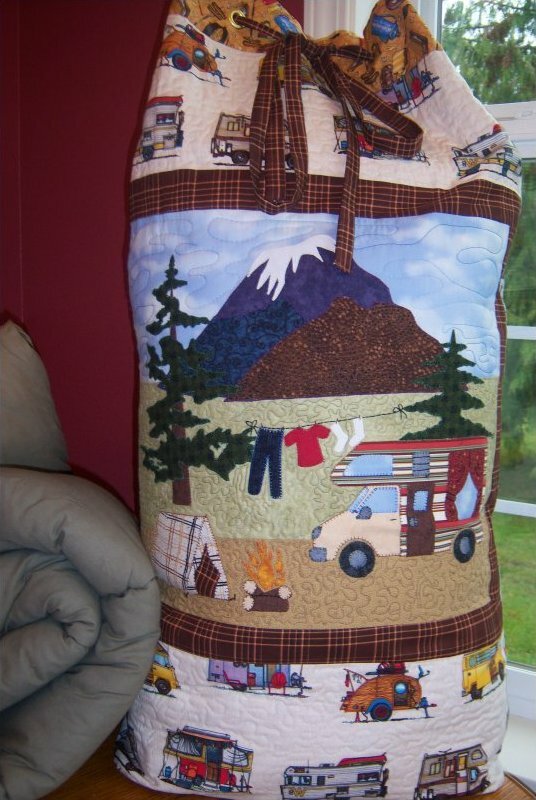 If you enjoy camping or taking off on the road in a RV/Camper... this is a great item to have with you. Machine applique.